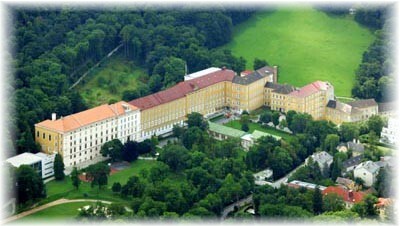 The Kollegium Kalksburg is a former Jesuit, now private catholic school located in the green suburban area of Vienna. We are an 8-year grammar school, with students aged 10 to 18 years. We offer scientific education as well as humanistic education, and a lot of special elective courses. Students in the science branch attend various projects, like this Comenius project. At Kollegium Kalksburg, after-school supervision, lasting until 17:30, is provided.